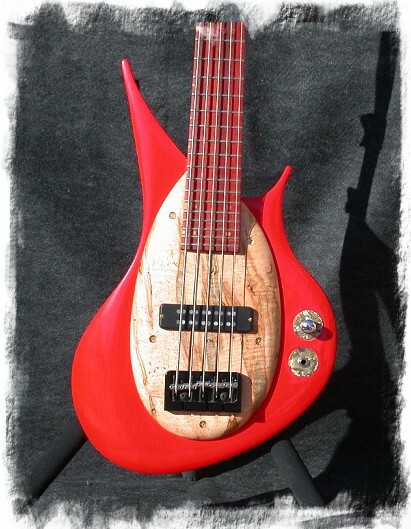 Peter Malinoski Art Bass 5 Peter Malinoski Art Bass 5 And now, for something completely different. 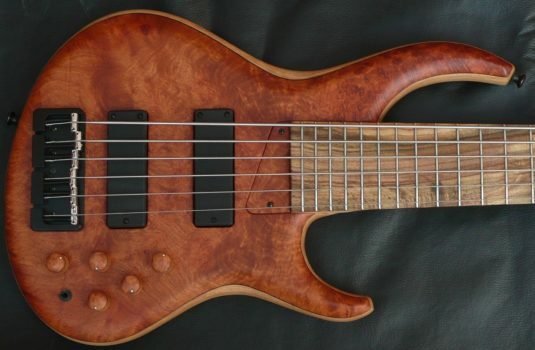 From the future, we offer this unique 5 string bass. 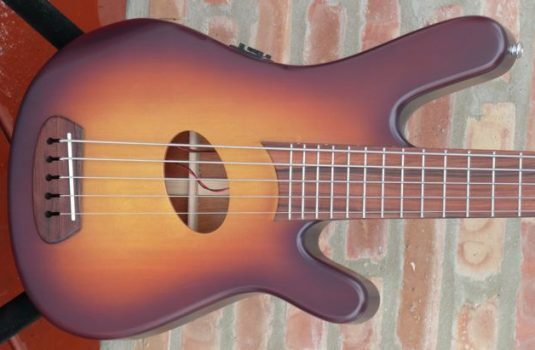 The body is Northern Ash, the 34″ scale neck is African Mahogany and Birdseye Maple, Padauk fretboard, bone nut. The bridge is a Hipshot with neck-thru stringing , the tuners are by Gotoh. 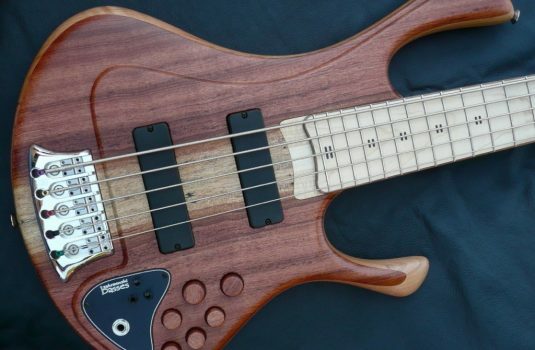 As radical as this bass may appear, the electronics are remarkably simple. A single Aero pickup with a push/pull volume allowing single/dual coil operation. 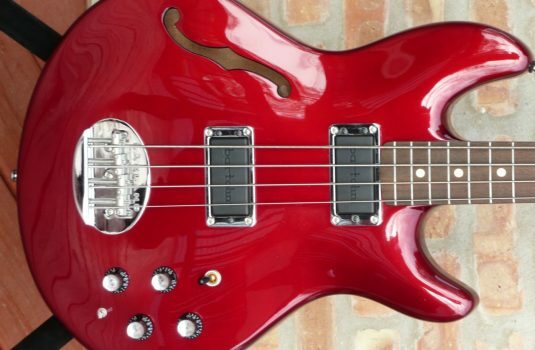 When I first saw photos of this bass, my first thought was “Looks cool, but is it really a bass?” Yes, it plays and sounds great. You decide about the looks; I like it, but I dig Avanti autos too. About Pete Malinoski, he is a college prof who teaches advanced woodworking, he plays guitar and bass, he makes modernistic furniture. Check out his website www.PeterMalinoskiArt.com.